Cass Elliot joins Joni and Mary Travers in I Shall Be Released on The Mama Cass Television Program. Recorded January 18, 1969. Aired on ABC-TV Thursday, June 26, 1969. Beautiful as always. 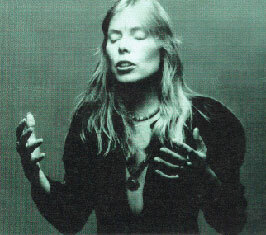 I also enjoyed Joni singing "Both Sides Now" on the same show.